Collection of loose, screw-shaped bryozoan fossils Archimedes. Found in Grayson County, possibly from the Glen Dean Limestone. 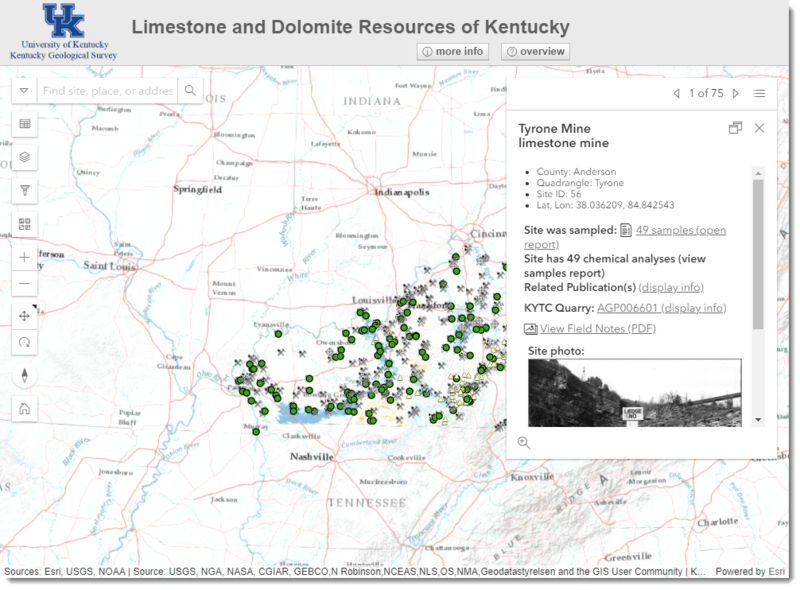 Kentucky Geological Survey paleontological collection. Archimedes is a fossil that looks like a screw. It is a genus of fenestrate bryozoans, defined by a corkscrew-shaped axial support column and spiraling mesh-like fronds attached to the column. Broken fragments of Archimedes are common in Mississippian rocks of both eastern and western Kentucky. The fossils are named after the Greek scientist and philosopher Archimedes, who designed a corkscrew-shaped irrigation pump. Bryozoa are a phylum of marine invertebrate organisms that still live today. They are tiny (less than 1 millimeter long) organisms that construct colonial structures. Different types of prehistoric bryozoa built colonial mounds, branching bushes, crusts, and fan-like structures. Bryozoan structures look similar to the types of colonial structures built by corals, but they are a distinctly different phylum of organisms. Fenestrates are a type of bryozoan that had fan-shaped colonies. Archimedes were fenestrates with helically coiled fan shapes. Fans were mesh-like—perforated by tiny holes. Fans grew outward from a spiraling, axial support column, so the fans were coiled. 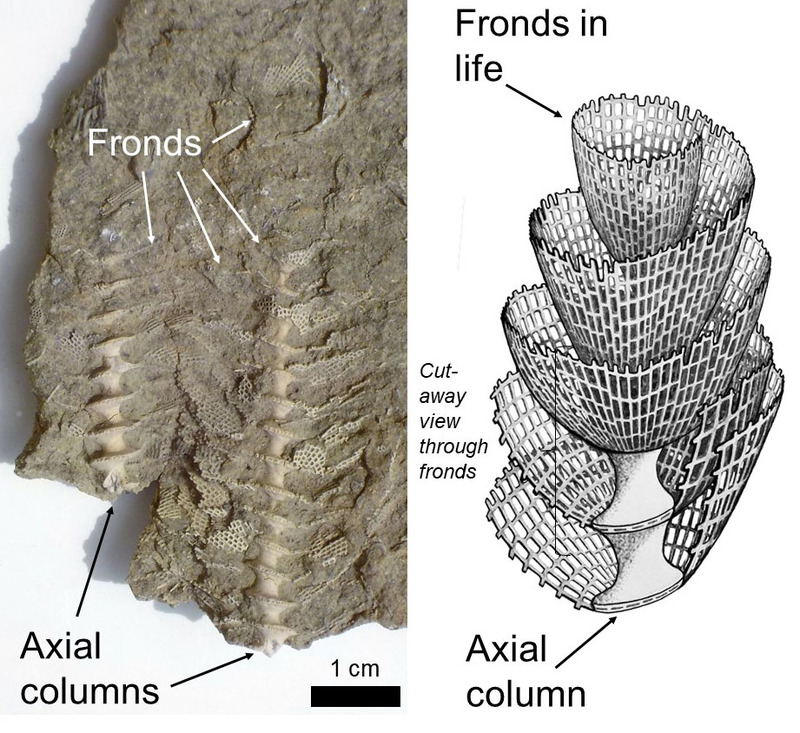 Both fronds and coiled axes are preserved as fossils, but the Archimedes structures appear to have been fragile and easily broken; therefore, whole three-dimensional fossils with complete fronds attached to axes are rare. The name Archimedes is most commonly used for the corkscrew-shaped, axial support columns, although attached fronds are also defined under the genus. Archimedes fossils from Breckenridge County, western Kentucky, showing parts of fronds attached to axial columns and illustration of Archimedes in life. Artwork by Stephen Greb. Archimedes fossils are very common in Middle and Upper Mississippian rocks of Kentucky (and around the world). At least 16 species, several with multiple varieties, have been reported from Kentucky (Butts, 1917; McFarlan, 1942; Conkin and Fuson, 1970; Chesnut and Ettensohn, 1988; Sable and Dever, 1990). Both the coiled axes and fronds may have species names (McFarlan, 1942; Bassler, 1953). In addition to Archimedes fronds, some species of the frond genera Fenestella and Fenestrellina also are known to have attached to Archimedes (although not all species of these genera were coiled and associated with Archimedes). Most of the species names assigned to Archimedes axial columns are based on variations in the shape of the convolutions and spacing of convolutions (McFarlan, 1942; Condra and Elias, 1944). Many species names were defined by Arthur C. McFarlan, a professor in the geology department (now the Department of Earth and Environmental Sciences) at the University of Kentucky, and past state geologist and director of the Kentucky Geological Survey. Some of the specimens he studied are in the Department of Earth and Environmental Sciences’ paleontological collection. One species, found in the Mississippian Floyds Knob Bed of the Borden Formation, in Marion and Jefferson Counties, is called Archimedes kentuckiensis. The holotype, No. 164200, and many paratypes (Nos. 164201–164207) are in the U.S. National Museum collection (Conkin and Fuson, 1970). The oldest Archimedes fossils reported in Kentucky are from the Middle Mississippian Borden Formation, and they range through the uppermost Mississippian strata preserved in Kentucky. Archimedes fossils are very common in the Salem-Warsaw, Paint Creek, Golconda, Glen Dean, and Slade Formations, especially in shaly interbeds between limestones. Archimedes fossils are so common in the Warsaw Formation in the Illinois Basin (including western Kentucky) that historically the formation was called the "Archimedes Limestone" (Willman, 1975). Long Archimedes column. Uncertain location and unit, possibly Slade Formation (old Pennington Formation) eastern Kentucky. Kentucky Geological Survey paleontological collection. ArCoiled fronds of Archimedes from the Glen Dean Limestone, Edmonson County, western Kentucky. Kentucky Geological Survey paleontological collection. During the Mississippian Period, sea levels rose and fell many times, and Kentucky was sometimes covered by shallow tropical seas and at other times was a low-lying coastline. 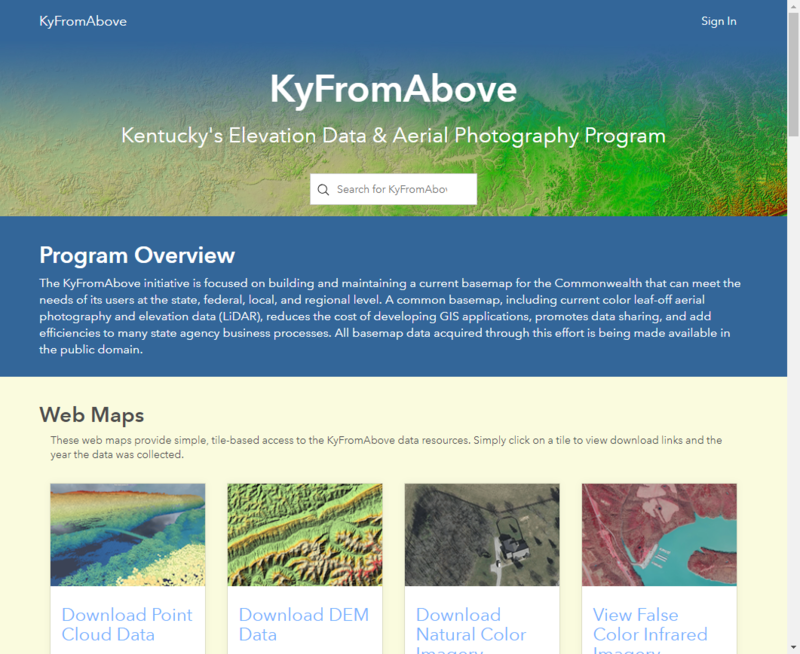 Archimedes thrived during the times Kentucky was covered by shallow tropical seas. It appears to have favored muddy seafloors, and perhaps the lee-side of shoals (McKinney, 1979; McKinney and Gault, 1980). Individual bryozoan zooids lined holes in the coiled fans, and filtered seawater through the fans for food (Cowen and Rider, 1972). Colonies were apparently capable of asexual reproduction, budding new fans from the fragments of broken fans (McKinney, 1983), which would have been an ecological advantage in soft bottoms and shallow, stormy seas in which thickets of Archimedes were periodically knocked over and fragmented. Bassler, R.S., 1953, Part G—Bryozoa, in Moore, R.C., ed., Treatise of invertebrate paleontology: Geological Society of America and University of Kansas Press, p. G120. Butts, C., 1918, Description and correlation of the Mississippian formations of western Kentucky: Kentucky Geological Survey, ser. 4, Geological Reports, 1918, 119 p.
Chesnut, D.R., Jr., and Ettensohn, F.R., 1988, Hombergian (Chesterian) echinoderm paleontology and paleoecology, south-central Kentucky: Bulletins of American Paleontology, v. 95, p. 5–102. Condra, G.E., and Elias, M.K., 1944, Study and revision of Archimedes (Hall): Geological Society of America, Special Paper 53, 243 p.
Conkin, J.E., and Fuson, M.L., 1970, Archimedes kentuckiensis, a new fenestrate bryozoan from the Floyds Knob Formation (Upper Osagean) of Kentucky: Journal of Paleontology, v. 44, p. 669–672. Cowen, R., and Rider, J., 1972, Functional analysis of fenestellid bryozoan colonies: Lethaia, v. 5, no. 2, p. 147–164. McFarlan, A.C., 1942, Chester bryozoa of Illinois and western Kentucky: Journal of Paleontology, v. 16, p. 437–458. McKinney, F.K., 1979, Some paleoenvironments of the coiled fenestrate bryozoan Archimedes, in Larwood, G.P., and Abbott, M.B., eds., Advances in bryozoology: London, Academic Press, p. 321–355. McKinney, F.K., 1983, Asexual colony multiplication by fragmentation: An important mode of genet longevity in the Carboniferous bryozoan Archimedes: Paleobiology, v. 9, no. 1, p. 35–43. McKinney, F.K., and Gault, H.W., 1980, Paleoenvironment of Late Mississippian fenestrate bryozoans, eastern United States: Lethaia, v. 13, p. 127–146. Sable, E.G., and Dever, G.R., Jr., 1990, Mississippian rocks in Kentucky: U.S. Geological Survey Professional Paper 1503, 125 p.
Willman, H.B., 1975, Handbook of Illinois stratigraphy: Illinois State Geological Survey, Bulletin 95, 261 p.